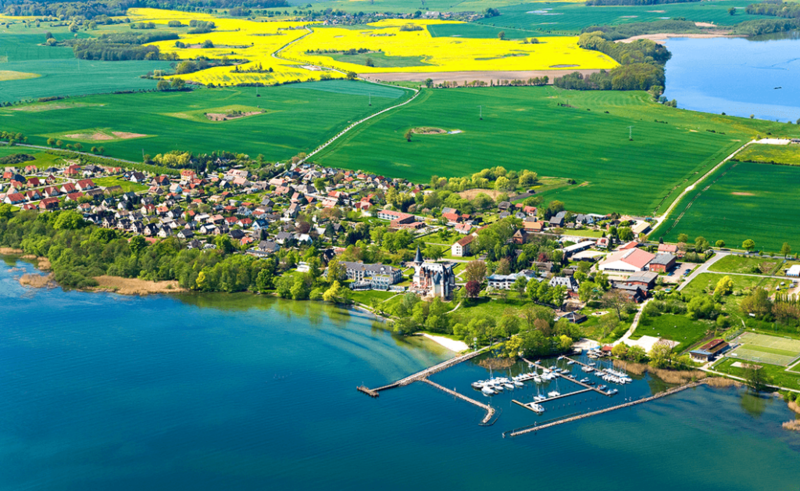 Picture it: crystal-clear waters, a white-sand beach and a majestic German castle. It’s wanderlust, defined. 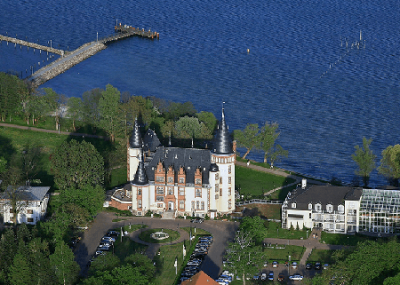 But dreams do come true at Schlosshotel Klink, a four-star castle hotel on the edge of Lake Müritz. Watch the morning sun peep out from behind Klink’s spires, sleep like royalty for the night in a stunning suite, pop champagne in the Schloss Bar, and let your mind feel beautifully still in the hotel’s candle-lit spa and pool – Klink is conclusively gorgeous. The hotel’s romantic restaurant serves up fresh fish that’s barely travelled from sea-to-plate – just what you feel like after a day on the sands. 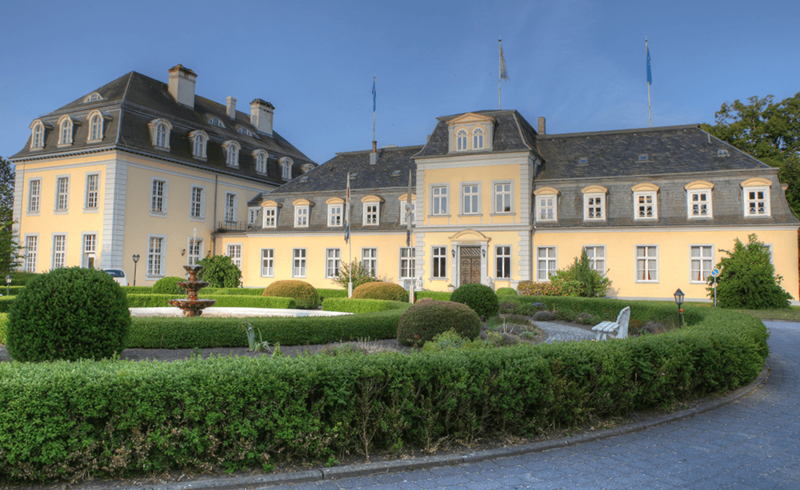 High ornate ceilings, sumptuous four-poster beds, banquet rooms fit for a king – Schlosshotel Groß Plasten is a stunner. As are its views: in this spectacular area of the Mecklenburg lake district, you can barely move for sparkling waters, pristine gardens and clumps of emerald forests. But while Groß Plasten excels at looking undeniably pomp and fabulous, it does laid-back relaxation even better. Chill-out like Casanova in one of 54 uniquely furnished rooms and suites, dine on the lake-nudging terrace restaurant or recharge the batteries in the hotel’s 10m fresh water pool. 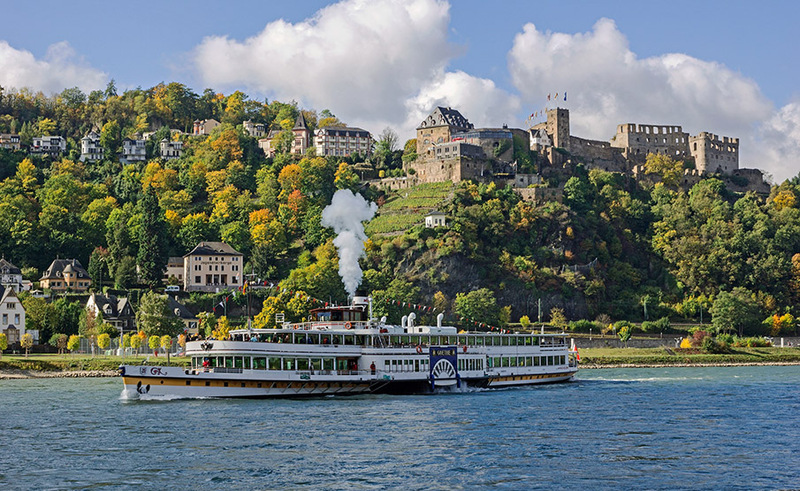 It’s all too easy to lose a weekend simply gazing dreamily at Rhine Valley’s dramatic landscapes. Throw Romantik Hotel Schloss Rheinfels into the equation and you’ll disappear into a complete fantasy world – only, it’s all real life. Come to the heart-stopping valley of the Lorelei any time of the year and you will be smitten – spend a night in the main castle or suites of this award-winning hotel and you’ll be fully seduced. When was the last time you stayed in a hotel with not one, not two – but three restaurants? Whether you’re in the mood for rustic, regional or gourmet cuisine, every eatery uses the freshest of local ingredients – and the hillside views come for free. Once upon a time, there lived a kind and beautiful princess who was cursed by an evil fairy. On her sixteenth birthday, she pricked her finger and fell into deep slumber for 100 years, awakened only by a prince’s kiss. And this, according to the Grimm brothers themselves, is the very castle that inspired the fairytale: Dornröschenschloss Sababurg, or Sleeping Beauty’s castle. Dating back to 1334, this enchanting castle is now a four-star hotel, boasting 17 exquisite guest rooms and two restaurants to dine in. Staying true to the story, many of the seasonal dishes in the grand Rosenkrone take influence from the dainty roses blossoming around the castle’s exterior. 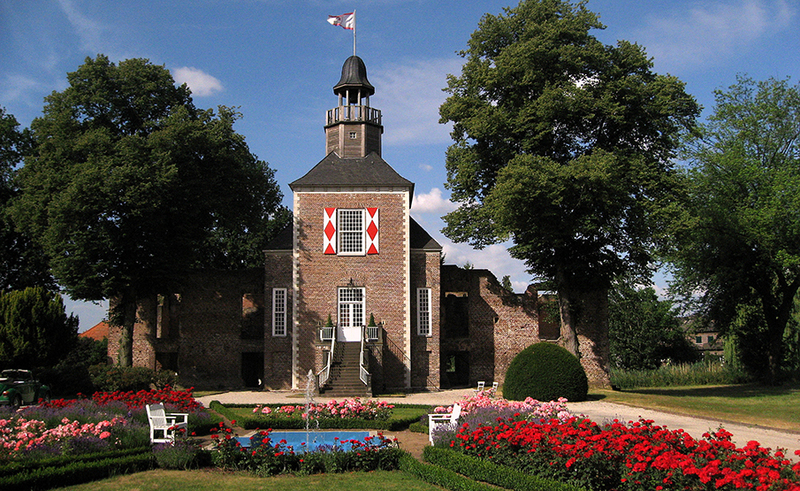 A former moated baroque castle by the River Niers, in the heart of Weeze, Schloss Hotel Hertefeld went through various guises until its ruins were restored and converted into the luxurious castle stay it is today. 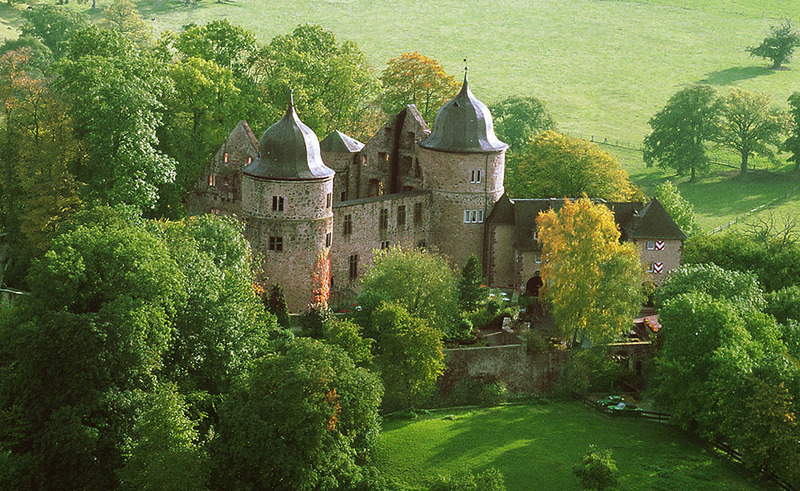 This 14th-century gem is the only inhabited castle ruin in Germany where you can stay in the dreamy Tower Suite, with its pinstripe walls and lavish fittings, or Heaven’s Room, fitted with two side-by-side bathtubs and a rooftop you can open to stargaze while you soak.